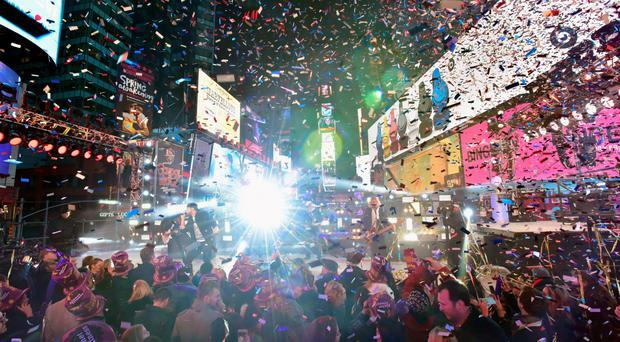 Belfast should have its own New Year's Eve celebrations like New York, the petition says. Pete Snodden called for a big party to ring in the new year. A petition has been launched calling for Belfast to ring in 2017 with a big party under the screen at Belfast's Shaftesbury Square. The campaign was launched on Wednesday on Cool FM's breakfast show by presenters Pete Snodden and Paulo Ross. "It's been a while since we last had an official New Years Eve celebration held in Belfast," the petition reads. "We do Halloween and Christmas so well, it makes sense. "We propose... 'Party under the Big Screen at Shaftesbury Square 2017. "Fireworks, a ball similar to Times Square in New York. Musical performances and a fireworks display." Speaking on his radio show, Pete Snodden said: "One thing we don't have that I think needs to change. 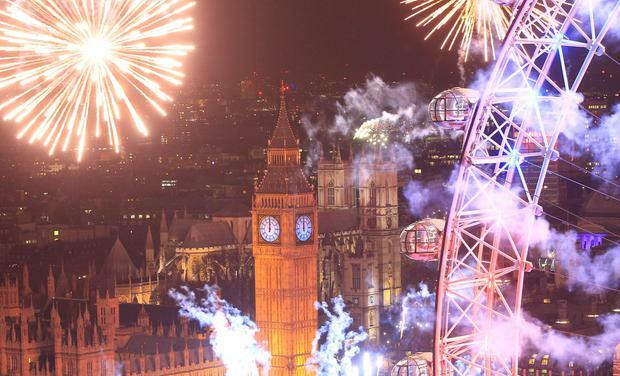 We used to have it years ago, the big New Year's Eve celebrations. "People used line up from city hall all the way to Royal Avenue and there were big events all over. "Since the screen is back in Shaftsbury Square it should be back. It's out Times Square. We could stick a stage under the screen and we just have a big party. "We close off Shaftsbury Square, bring everyone into the city, Translink could do the night buses. So why don't we do that?" Undated handout video grab taken from the Twitter feed of @astro_timpeak of British astronaut Tim Peake wishing "beautiful planet Earth" a happy New Year in a special message from space. PRESS ASSOCIATION Photo. Issue date: Friday January 1, 2016. Major Peake sent the message from the International Space Station, where he docked last month. See PA story SOCIAL NewYear Peake. Photo credit should read: ? @astro_timpeak/Twitter/PA Wire NOTE TO EDITORS: This handout photo may only be used in for editorial reporting purposes for the contemporaneous illustration of events, things or the people in the image or facts mentioned in the caption. Reuse of the picture may require further permission from the copyright holder. In the four hours since the petition was launched over 1,200 signatures were recorded. Cullybackey woman Lynne Alexander said: "It's a fantastic idea... and would bring people together!!! The rest of the world do it why not us??" Joshua McKee from Portavogie added: "Belfast City Council puts on a fireworks display at the Titanic Quarter at Halloween for the Monster Mash. "Why is there nothing put on to bring in the New Year? A party in Shaftesbury square sounds like great craic. Remember the scenes outside Laverys when Northern Ireland qualified for the Euros? Let's replicate it." While Gerrard Fenton from Newtownabbey said: "Shaftesbury, city hall or cathedral quarter. Regardless would be good to see."